Nikola Tesla was born in 1856 in what was then the Austrian Empire. He studied in Graz and Prague to become an electrical engineer. After his emigration to the United States in 1884 Tesla patented the Alternating Current (AC) system we still use today. Around 1900, his vision was to transmit energy without wires so that everybody could have energy for free. Tesla’s vision failed. Today, he is almost forgotten – so the director Michael Krause went to find out All About Tesla. He started his research in New York City. In ALL ABOUT TESLA – THE RESEARCH director Michael Krause visits important places in Nikola Tesla’s life, he meets with busy researchers and adamant fans. Exclusive interviews with scientists, politicians and other personalities of today reflect the inspiring influence of Nikola Tesla on their research. 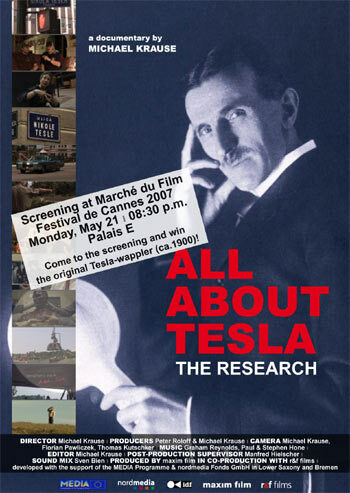 The film shows how the memory of Tesla survived and how it was kept alive. 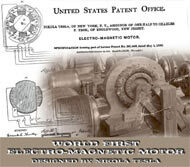 What do people do with Tesla’s inventions, ideas and visions today?